Dr. Richlin, O.D. & Associates Providers Bradley Richlin, O.D. 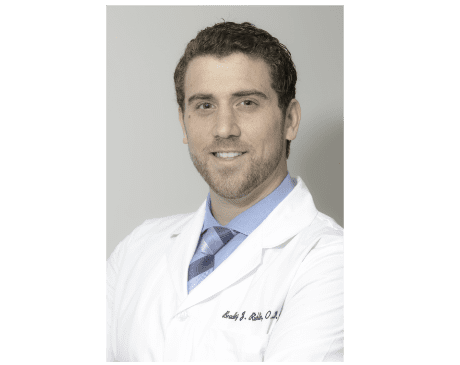 Bradley Richlin, OD, is a glaucoma-certified therapeutic optometrist accepting patients at the Beverly Hills, California, office of Dr. Richlin, OD & Associates. Dr. Richlin is skilled in delivering a wide range of optometric services. He’s trained in the treatment and management of eye diseases, specialty contact lenses, corneal refractive therapy, and the preoperative and postoperative care of patients. He also has a special interest in dry eye disease, specialty contact lenses, and primary care. Dr. Richlin completed his undergraduate education at the University of California, Santa Cruz, where he graduated with a bachelor’s degree in molecular cell and developmental biology. He earned his Doctor of Optometry from the Southern College of Optometry in Memphis Tennessee, where he was named Clinician of the Year in his third year. In addition to his work at Dr. Richlin, OD & Associates, Dr. Richlin also practices on the staff at Cedars Sinai Medical Center in Los Angeles and serves on the board of the Los Angeles County Optometric Society.